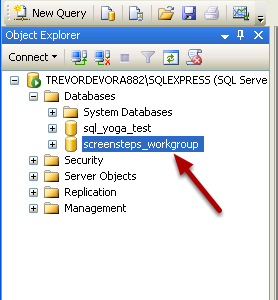 This lesson will show you how to create a ScreenSteps Workgroup database using Microsoft SQL Server Management Studio. 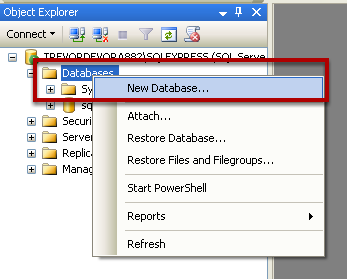 After launching the software expand the Databases folder. 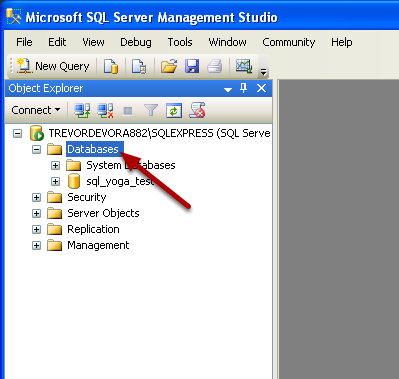 Right-click on the Databases folder and select New Database... from the contextual menu. 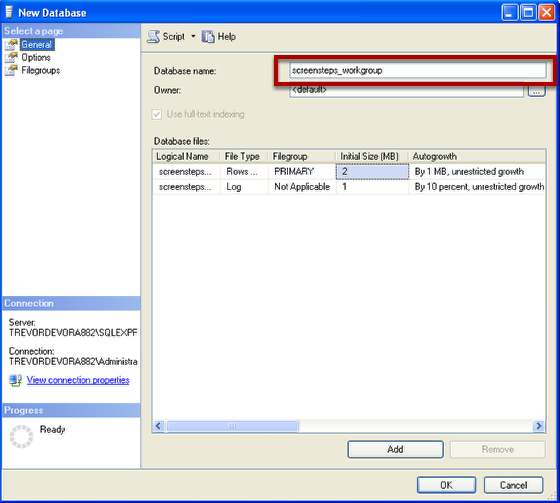 In the dialog that opens change the database name to screensteps_workgroup. Click OK to create the database. The new database will now appear in the list of databases.